In a 4 quart stockpot, add the oil and cook onions, bell pepper, and green onion until tender. Add the tomato paste and cook for 5 to 10 minutes. Add the corn, water, salt and pepper and cook on a medium heat approximately 30 minutes. 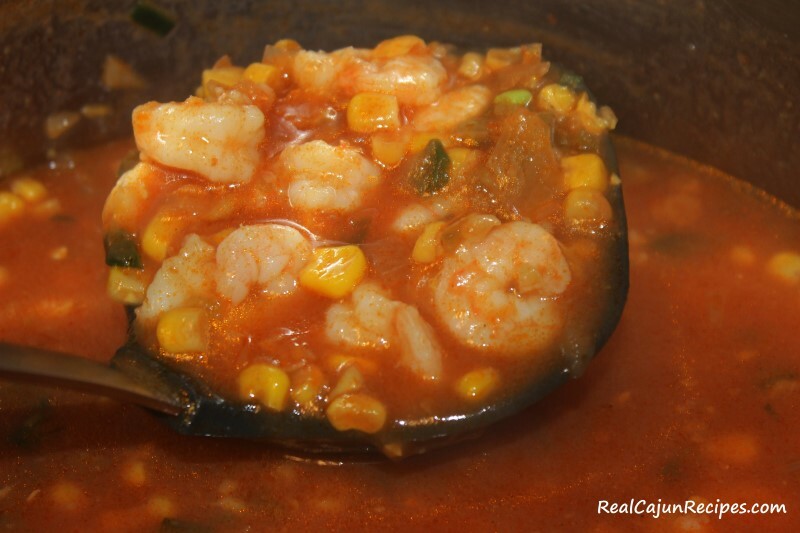 Add shrimp and continue to cook until the shrimp are done approximately 10 minutes. Add more water if necessary. For a taste variety, add 1 or 2 tablespoon of liquid crab boil if desired.